Your fingers will be at least half a size smaller, when your hands are cold. Rings with a thick band or stacking design will feel tighter than a thin band, we would recommend going for a size larger than your normal ring size. Your ring should be loose enough to slide over your knuckle, but not so loose it will fall off. If your ring size falls between two sizes, we advise you to order the larger of the two sizes.  Please contact us on 02077923913, email us on customercare@dinnyhall.co.uk or visit one of our stores for expert advice from our consultants.